Bedroom Rockstar Game SEXLEKSAKER | SEXSHOP: Stora DILDOS, Gratis Frakt! Wanna be a rock star? 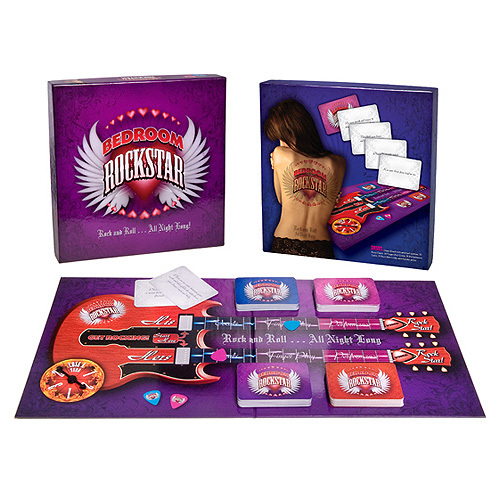 Take your fancy finger work and snake hips to the bedroom then for this rockin game for lovers. Race your way up the his and hers guitars, picking and performing the sexual activities from the corresponding card decks. Will you have the se - X Factor, be a one hit wonder or a flop? Denna sexleksak inkom i vårt sortiment den tisdag 16 mars, 2010.